Our paper, The role of defects and excess surface charges at finite temperature for optimizing oxide photoabsorbers, is published in Nature Materials. 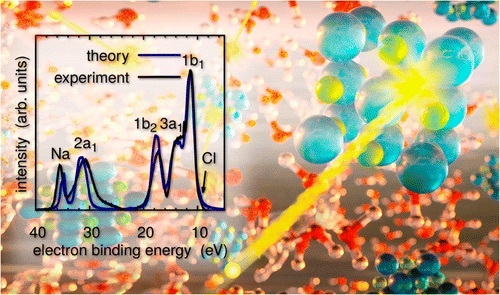 Three major factors determine the chemical reactivity of WO3 interfaced with water: the presence of surface defects, the dynamics of excess charge at the surface, and finite temperature fluctuations of the surface electronic orbitals. Marco Govoni is part of the Quantum Information Science and Engineering Network (QISE-NET), which is housed at the Chicago Quantum Exchange. 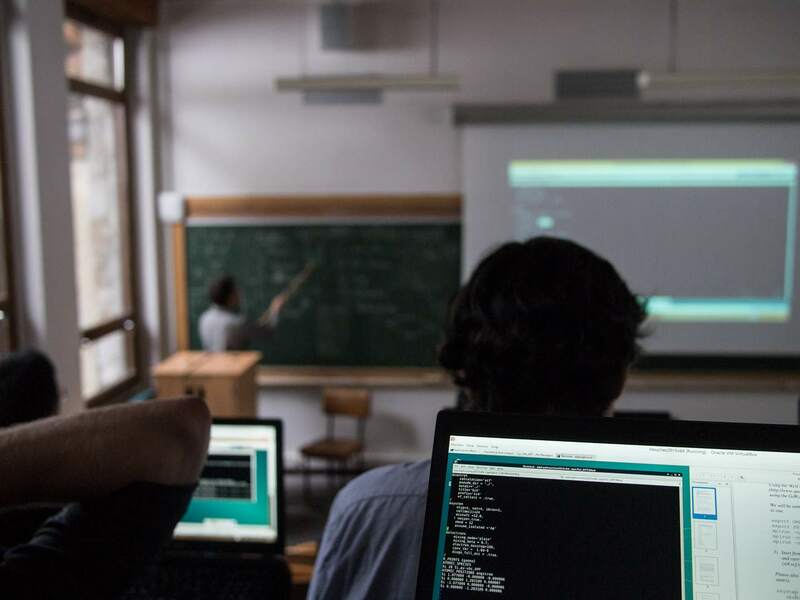 QISE-NET is an intellectual hub and partnership for advancing academic and industrial efforts in the science and engineering of quantum information. Marco is hosting at Argonne National Lab Tyler Smart, graduate student (University of California, Santa Cruz), with the purpose of developing numeric techniques to model quantum materials for quantum information science. Marco Govoni presented the talk Coupling first principles molecular with advanced sampling and many body perturbation theory codes at the Symposium on Materials Genome Towards Exascale, held in Spetses (Greece), June 10-15 2018. 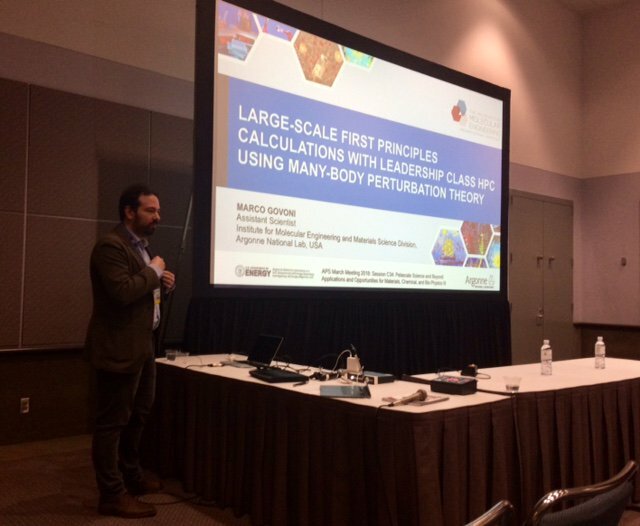 Marco Govoni presented an invited talk at the APS March Meeting 2018 (Los Angeles) on a wide range of method developments in electronic structure! Opening the session: Petascale Science and Beyond: Applications and Opportunities for Materials, Chemical, and Bio-Physics III. 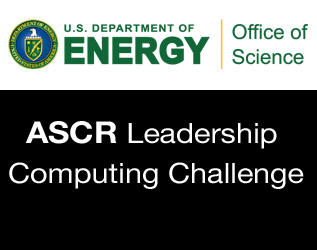 With a computational project based on the cutting-edge scientific softwares -- including WEST -- Marco Govoni, and Huihuo Zheng received a 2017 ASCR Leadership Computing Challenge (ALCC) award obtaining 60 Million hours on MIRA at ANL and 15 Million hour on Cori at NERSC. The new version of WEST (version 2.0.0) features the addition of tools for post-processing electronic structure properties computed with WEST. The WESTpy project aims at collecting a set of Python scripts that facilitate data visualization and extraction from WEST output files. It is possible to get the latest snapshot of WEST via anonymous access to the WEST subversion repository, or through direct download of the source files. The WEST development team participated in the Intel Xeon Phi User Group 2016 Annual US meeting (IXPUG2016). In ​this ​workshop, experts from around the world meet at Argonne National Laboratory, share experiences with Xeon Phi-based systems, and learn how to optimize software for manycore machines. The WEST development team participated in the ALCF Theta ESP Hands-On Workshop. 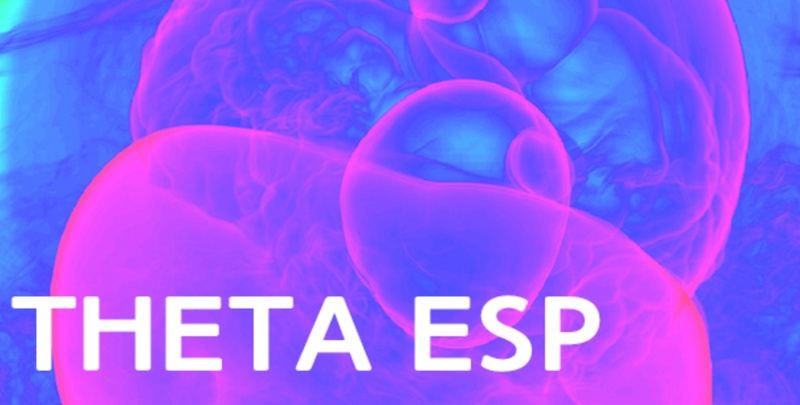 In ​this ​workshop, ​developers ​from ​the ​ALCF's Theta ​Early ​Science ​Program ​(ESP) ​projects get ​access ​to ​the ​new ​Theta ​supercomputer ​to ​work ​on ​porting, ​benchmarking, ​and ​optimizing ​ their ​applications. ​The event includes ​two ​half-days ​of ​instruction ​from ​Intel ​and ​Cray ​on ​their ​development ​and ​systems ​software. 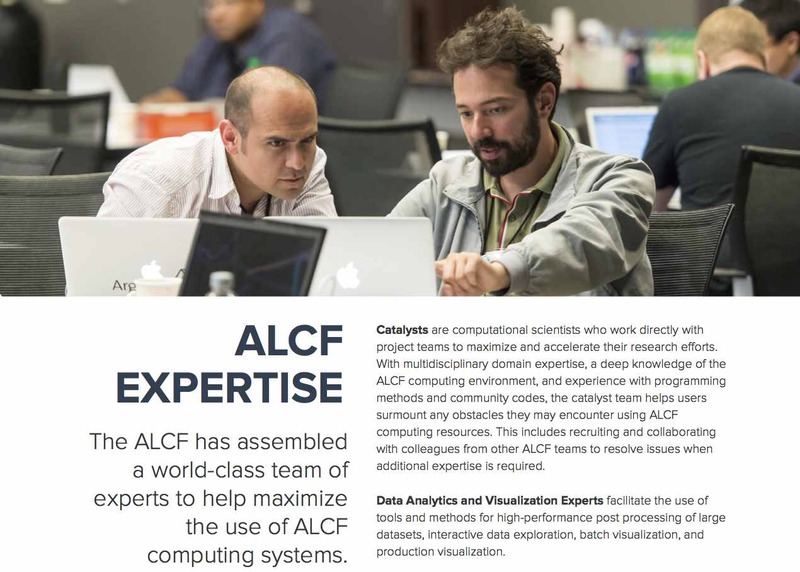 The WEST development team participated in the Argonne Training Program on Extreme-Scale Computing (ATPESC) which provides intensive, two-week training on the key skills, approaches, and tools to design, implement, and execute computational science and engineering applications on current high-end computing systems and the leadership-class computing systems of the future. 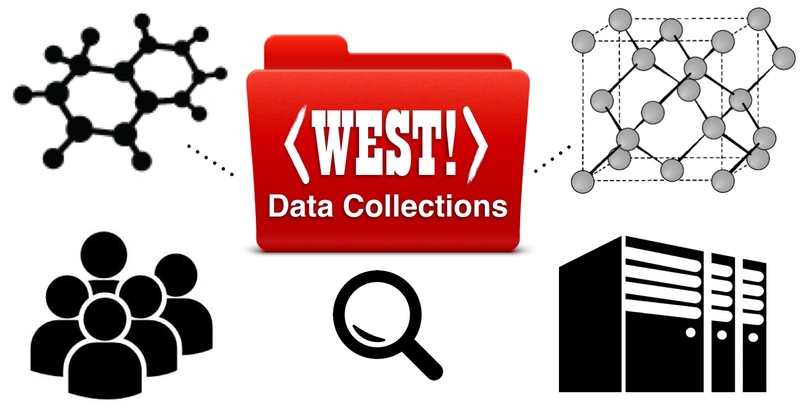 The WEST Data Collections are live. They provide open web-based access to electronic structure properties computed with WEST. Explore the GW100 and the GW-SOC81 sets. 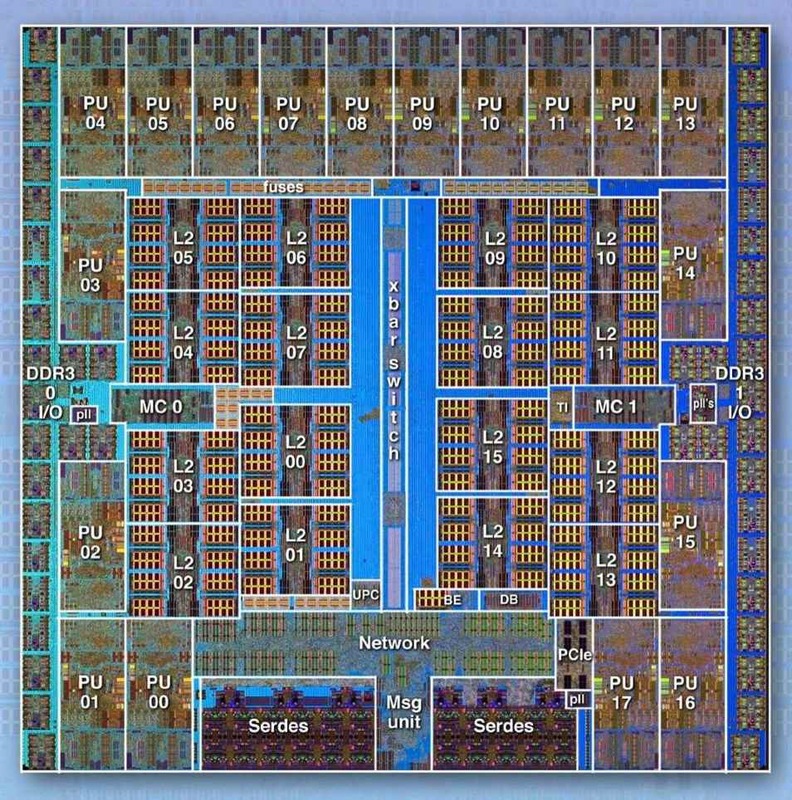 With a computational project based on the cutting-edge scientific softwares -- including WEST -- Marco Govoni, Alex Gaiduk, and Hosung Seo received a 2016 ASCR Leadership Computing Challenge (ALCC) award obtaining 53.7 Millions hours on MIRA at ANL. WEST has been successfully compiled on the 2nd Generation Intel® Xeon Phi™ processor, code-named Knights Landing (KNL) and work is currently underway with ALCF staff to optimize it’s performance in a Theta ESP project. The WEST development team participated in the workshop about Data, Databases & Discovery, organized by the Center for Hierarchical Materials Design (ChiMaD), held in Evanston (IL). 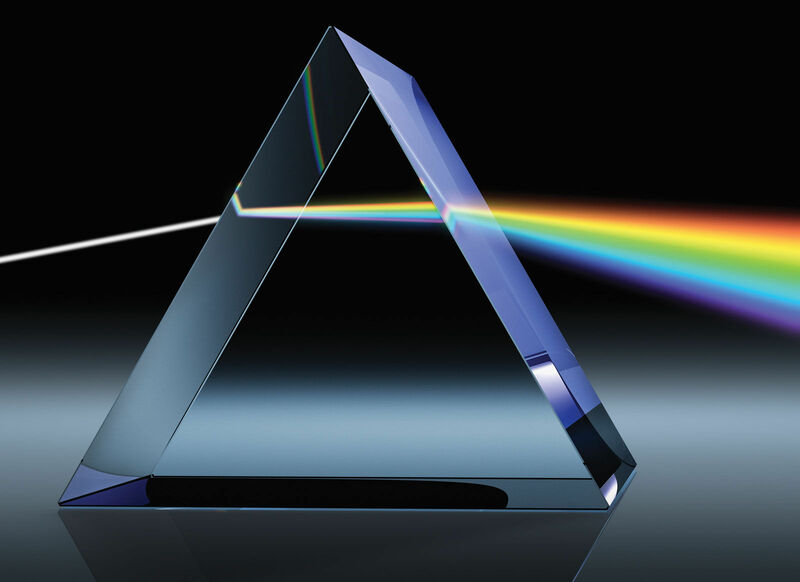 Our paper Photoelectron spectra of aqueous solutions from first principles, by Alex P. Gaiduk, Marco Govoni, Robert Seidel, Jonathan Skone, Bernd Winter, and Giulia Galli was published in the Journal of the American Chemical Society (2016) (link). New release: WEST includes option to obtain optical coefficients of solids and molecules, including local field effects. 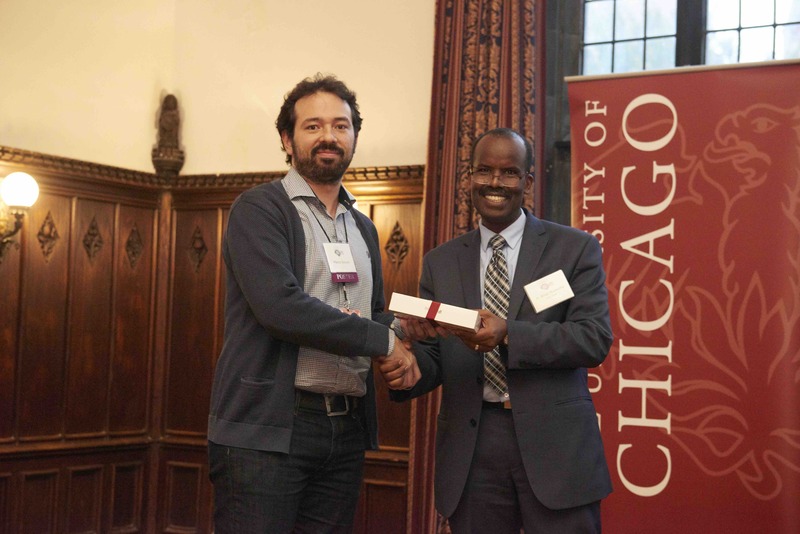 WEST is featured in the 2015 Annual Report of the University of Chicago's Institute for Molecular Engineering. WEST invited talk at the APS-March Meeting 2016, session B23.1. Our paper Design of defect spins in piezoelectric aluminum nitride for solid-state hybrid quantum technologies, by Hosung Seo, Marco Govoni, and Giulia Galli published in Scientific Reports 6, 20803 (2016) was highlighted by NERSC, Sciencedaily, BLCS. 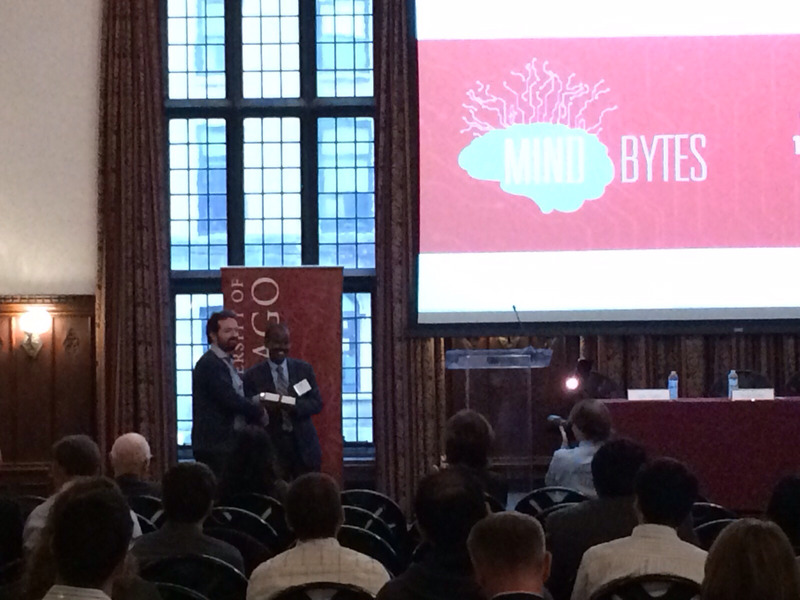 With the contribution entitled "WEST: Novel Scalable Software for Materials by Design" Marco Govoni received the award for scalable code at the 2015 Mind the Bytes, organized by the University of Chicago's Research Computing Center (pictured with H. Birali Runesha -- photo by RCC). Press releases by ANL, UChicago, and IME. 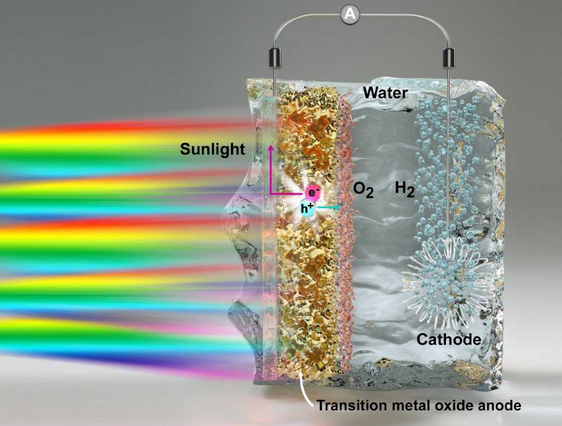 The Argonne Leadership Computing Facility (ALCF), a DOE Office of Science User Facility, has selected the project “First-Principles Simulations of Functional Materials for Energy Conversion” as one of the six projects for its Theta Early Science Program (ESP), a collaborative effort designed to help prepare scientific applications for the architecture and scale of the new supercomputer. 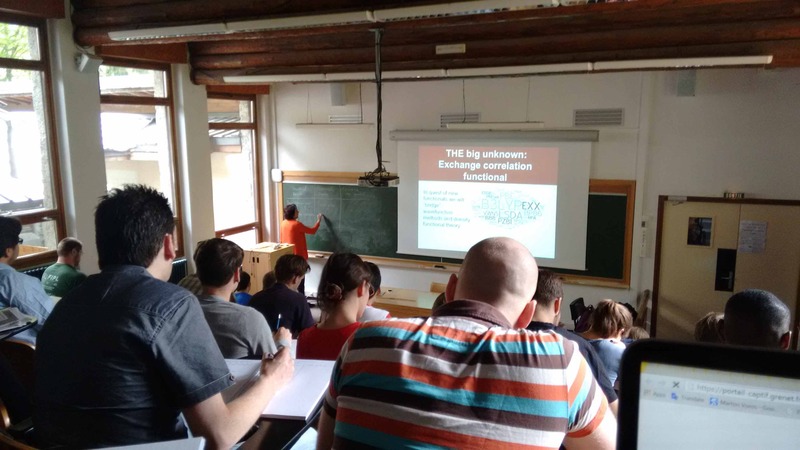 The proposal – led by Giulia Galli (U.Chicago & ANL), with co-PIs Marco Govoni (ANL) and Francois Gygi (UCD) – will combine ab initio molecular dynamics (Qbox code) and post-density functional theory methods (WEST code) to optimize properties of nanostructured materials for use in solar and thermal energy conversion devices at an unprecedented level of accuracy. The ultimate goal is to provide a truly predictive tool for device performance within a Materials Genome Initiative design framework. 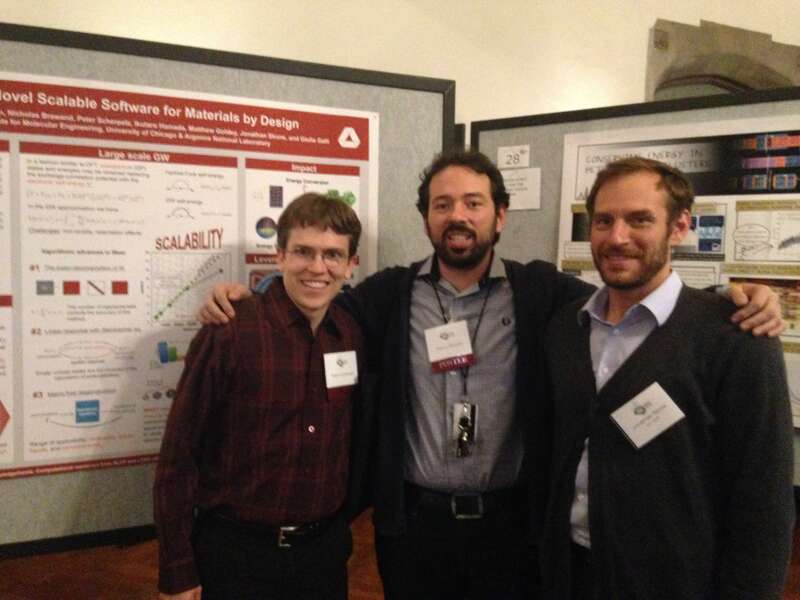 With a computational project based on the cutting-edge scientific softwares -- including WEST -- Marco Govoni received a 2015 ASCR Leadership Computing Challenge (ALCC) award obtaining 75 Millions hours on MIRA at ANL. 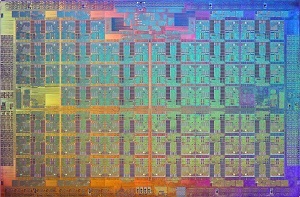 As part of our software optimization activities, the WEST development team participated at the Mira Performance Boot Camp 2015 held at Argonne National Laboratory (May 19-21), where the routines that manage parallel I/O in WEST have been profiled and improved, obtaining a +10% speedup on 131072 cores of the BG/Q machine Mira. The WEST team acknowledges fruitful discussions with Christopher Knight at ALCF. 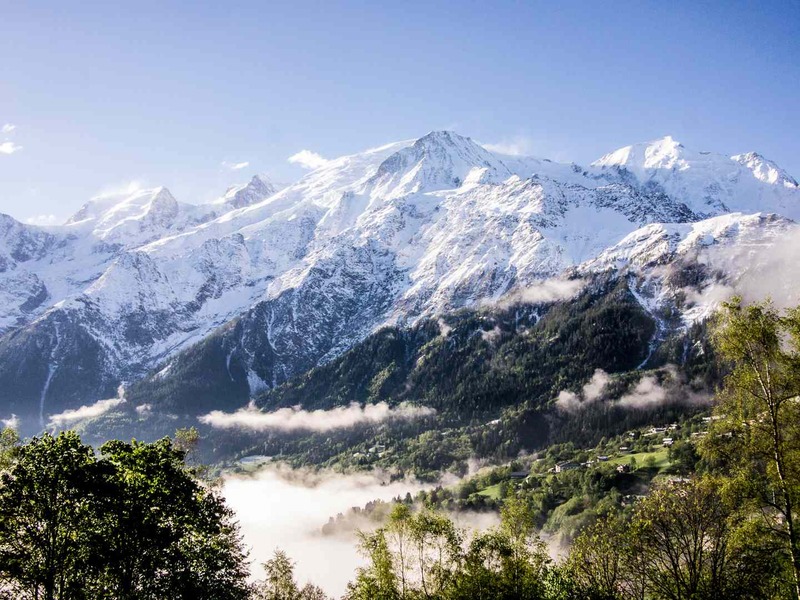 As part of our dissemination plan, the scientific findings discovered with WEST have been presented in the 5th Les Houches School in computational physics focussed on Multiscale modeling of materials, held in Les Houches, France (May 11-22, 2015). The WEST paper "Large Scale GW Calculations", by Marco Govoni and Giulia Galli has been selected to be featured in ACS Editors’ Choice, in addition to being published in Journal of Chemical Theory and Computation. 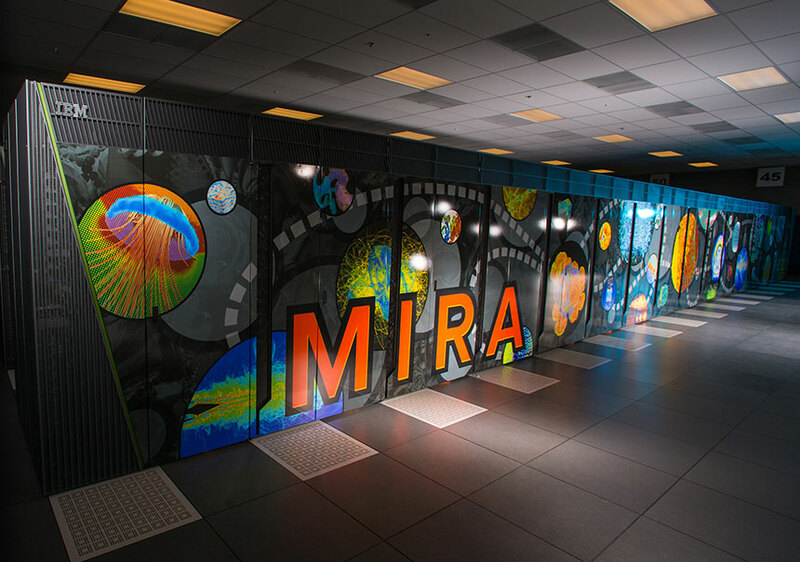 With a computational project based on the cutting-edge scientific softwares -- including WEST -- Giulia Galli and Francois Gygi received a 2015 Incite award obtaining 180 Millions hours on MIRA at ANL. The WEST development team participated at the Mira Performance Boot Camp 2014 held at Argonne National Laboratory (May 20-22).